THE GOLF IS OPTIONAL, THE MIRTH IS REQUIRED! 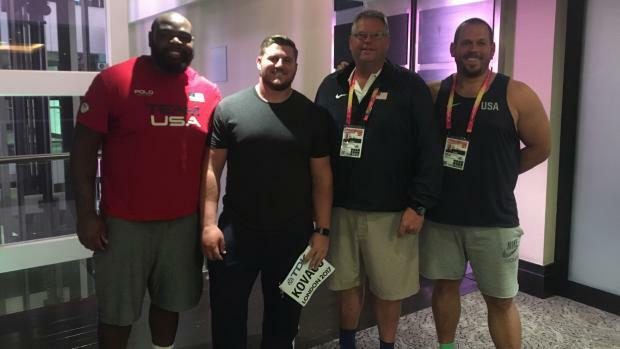 The only blog detailing PSU Track and Field, (not always great!) Golf, Physics topics and great videos at the same time! An eclectic mish-mash (mess) of just about everything imaginable. 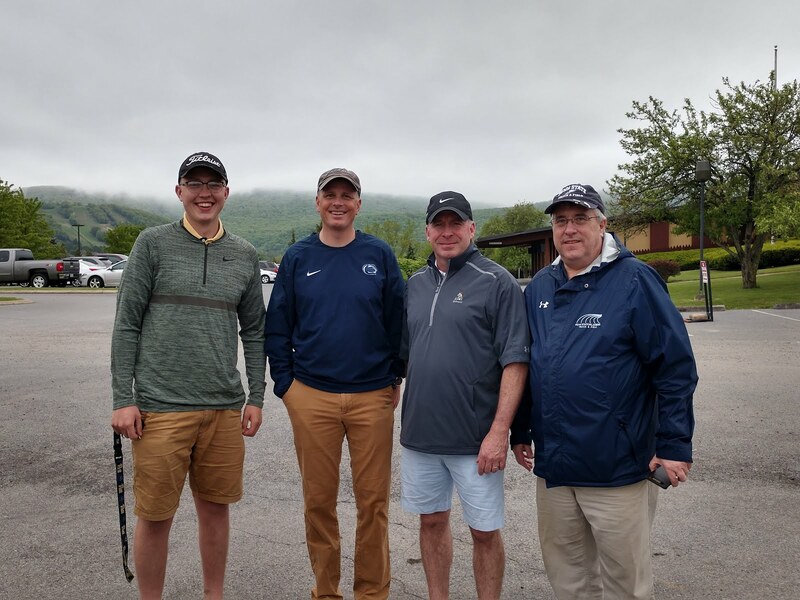 Penn State Track and Field Alumni Golfers have honored PSU Track/XC, Coach Harry Groves and abused golf courses throughout Happy Valley since 2002. Help spread the word! Search PSU Track Alumni Golf for just about anything! "Friendship, physics, and philosophy---this blog has it all." "I enjoy what you are doing with this blog. It is truly the only reason to have a Facebook account." "Light yourself on fire and then roll in broken glass to put out the fire!" -from Isaiah Harris's Twitter Feed, explaining how to replicate the feeling after an 800M race. "Even pit bulls call him Coach." -Brian Mount, reacting to a visit to Coach Groves from Hunter Backenstose's pit bull, Blanche. "Your blog is amazing and I’ve always loved your humor. Thanks for continually bringing me a smile." -Don Ziter, two-time winner of the Coach Groves Golf Tournament. -Nick Scarpello, after winning the 2016 Carlsbad 5K. "Goodbye to all that. (Politics) I am turning into Jeremiah Johnson, a shunner." -Rob Whiteside, walking the Appalachian Trail. "I'd rather see you laying in a gutter with your head split open than to see you run like that." -Coach Groves, following a poor showing of 800M runners at a Beaver Stadium Meet, late 70's. "You do a fantastic job." "You are amazing at blogging." "...it tops all sites I've seen with its sense of humor." -George Brose, author of the website Once Upon a Time in the Vest, about our humble blog. "Great post as usual DFB!" "You just don't f*** with a f*****." -sage advice from Coach Groves, as told to Tim Backenstose and me, 5/17/14. "When I was a kid, I saw an illegal dice game in the bathroom at Franklin Field." -Matthew Groves, 2013, remembering the Penn Relays Carnival. "Don't sit next to Balkey and Artie at a track meet...You'll end up talking about hockey for 3 hours." -Coach Groves to Rebecca Donaghue, 2013. "The first 45 mile week I ever ran, I ran in the first 3 days at PSU- Thank you very much, Bruce Baden!" "If it takes longer than a paragraph, you don't have anything to say anyway." 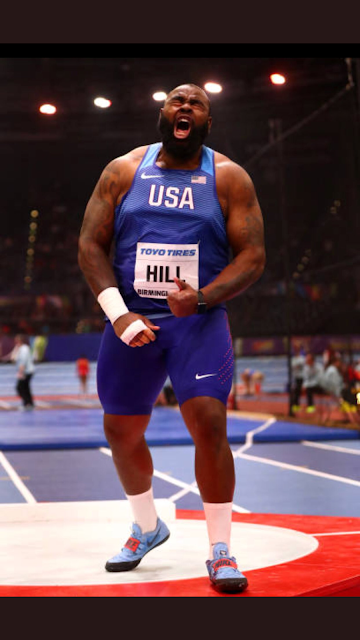 "If you can't get excited for The Penn Relays than damn it, you aint got no soul!" -Coach Groves, as reported by Matt Lincoln at the 2012 Penn Relays. "Athletics is for education and recreation, nothing else. Winning is important only in that you learn more." -Coach Harry Groves, 5/21/2011 at the Alumni "Run". "... for a brief time, I'm the greatest Track Coach in the world." -Coach Harry Groves, at his Retirement 2006. "You must do something about the cheating!" -Coach Harry Groves, after golfing two holes with each foursome in 2009. -Randy Moore, remembering the 1985 Penn Relays 4 X 800. "Even my mother calls me Coach." -Coach Harry Groves, circa 1977, whenever a student/athlete dared call him Harry. Time To Get Those Clubs Out Of The Garage! Mid Atlantic Region Memberships Available! Click on Logo! Poems from Life with Juniper Village is a project developed in partnership between the Pennsylvania Center for the Book and Juniper Village Senior Living at Brookline to share and celebrate the lives of Juniper residents with original, individualized poems presented by local poets. And you thought the only poem involving Coach Groves would be a limerick! 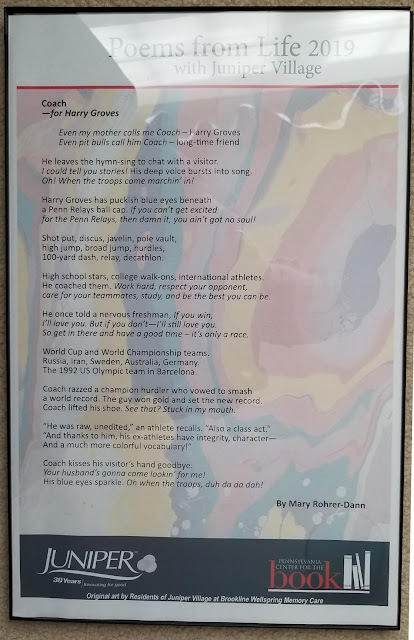 Thanks to our Course Marshall, here is the first peek at this year's entry for Coach Groves written by Mary Rohrer Dann. She seems to have gotten things right. Donate to the Penn State Track and Field Alumni (Golf) Blog. I Was Wrong When I Said That Hazing Never Happened In PSU Track And XC! Penn State Track and Field Alumni Golf by Skwilli is licensed under a Creative Commons Attribution-NonCommercial 4.0 International License. Based on a work at http://psutafalumnigolf.blogspot.com. Duncan Atwood's Pocket Videos: Javelin videos and the 1980 Olympic Trials Video! PSU Track Alumni Golf is on Facebook! PSU Track Alumni Golf - The premier Facebook site for PSU Track Alum golfers and non-golfers alike! 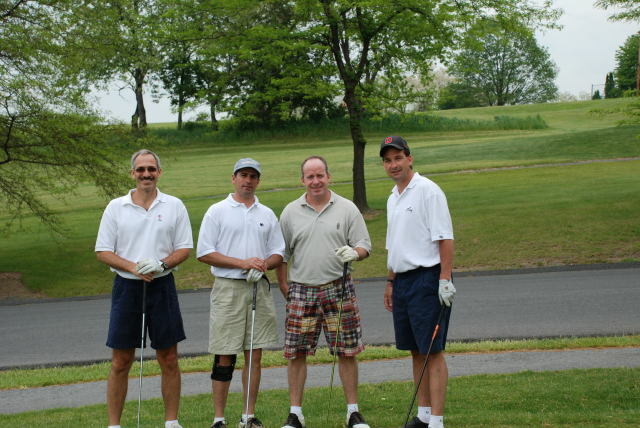 Follow the PSU Track Alumni Golf Blog please!! "It's Always Sunny In State College"
Curt Allison, Bill Whittaker '73, Brian Boyer '80, Todd Kletter '98.